Anime Fans, it’s your time to shine! The time of the year has come again at Universal Studios Japan. The much-anticipated Universal Cool Japan Event has arrived and you can now enter the realm of renowned Japanese anime till 24 June 2018. In case you aren’t sure what we’re talking about, Universal Cool Japan is an annual exclusive Japanese Pop culture event where special themed attractions and food from the likes of Detective Conan and more are introduced. This 2018, we’re looking at the ever popular Monster Hunter, Detective Conan, Final Fantasy and the addition of the world-famous Sailor Moon. We’ve got all the first-hand deets on the exciting lineup this year so scroll on down to check out what’s going on at Universal Cool Japan! Perhaps this is your chance to be Detective Conan’s best bud to find the real people behind the Black Organisation. If you’re a huge fan of both Detective Conan and the Escape Room, then this is the perfect game for you! Tried and Tested, this game is the epitome of fun. Taking place in a 4-storey building, you’ll be one of the 200 people competing to take home title of the best detective! Detective Conan Mystery Challenge: The Escape Mystery is shaped around one of the chosen episodes of the story where players watch a crime scene depicting a group of Japanese actors playing the roles of Amuro and Hirahara. Participants are the grouped into 4-player groups and given an iPad to solve the crime within a time limit. The game is available in 6 languages and contain extremely creative puzzles that are bound to keep your brain cells jumping. Be ready to crack your brains real hard because any case with Detective Conan ain’t gonna be a simple one! After solving the puzzles on the iPad, the Japanese actors will re-appear to share the secrets behind solving the crime and the culprit is revealed. The groups who have expertly solved all the puzzles will be given a heroic mention here too! Even though the beginning and ending were in Japanese, that did not stop us from going all out and having so much fun solving the puzzles. Be prepared to place your ultimate teamwork to test and watch as your competitive self arises to beat the rest! After you’re done, it’s time to reload your brain juices with Conan’s specialty Strawberry Crepe, Amuro Apple & Caramel Crepe *or the *Haibara Mixed Berry Crepe. The Klook Team tried and found all flavours delightful and not too sweet! Need something to warm you up? How about an adorable cup of Conan Hot Chocolate? Available for a limited period only! If you’re really hungry, head over to the Detective Conan Live Mystery Restaurant *at *Lombard’s Landing and experience a 4-course meal that may or may not be filled with surprises. It is Detective Conan after all right? I’m sure everyone has heard of Monster Hunter at least once in their life. For the benefit of those who haven’t, Monster Hunter is a RPG game where you, the player takes on the role of a Hunter. You’re tasked to hunt down monsters and be rewarded with loots to improve your weapon and armour. Looks like you might just have an idea of what Monster Hunt: The Real is about now! Step into the arena where you’ll be handed a cube. Depending on how you hold it, you get to activate one of four different weapons shown (Long Sword, Bow Gun, Gun Lance, Great Sword) each having their own strengths. After equipping yourself with a weapon, you’ll be guided to another room to be transformed into the world’s best Monster Hunter. While you slash monsters on-screen, you’ll notice USJ staff running around you - they aren’t there to hype up the excitement, but actually to get you to strike a cool pose for photo-taking! At the end of the game, you may purchase the photos that come along with digital copies to show the world your awesome monster hunting abilities! Feeling the rumble from the tummy? Recharge your HP and skills when you drop by the Happiness Wagon - a fire-red truck outside the arena! Whip out that wallet and get yourself (and your fellow monster hunter friends) a Great Recovery Drink; imagine Matcha Latte with crackling candy to fuel up the energy and perhaps an entire leg steak at the same time will do the trick! Or if you’re craving for some rice, we recommend you get the Felyn Paw Print Omu Rice (Omelette Rice) because nobody does this best than the Japanese! Say hello to the trendiest ride in USJ now! Just like all the other games in the Universal Cool Japan section, Final Fantasy XR Ride allows you to play out your dream, travelling through the worlds with Cloud and Sephiroth’s epic battles happening in front of your eyes. Take a seat in this VR roller coaster and open your eyes to a whole new world with 360° views with Moogle as your co-pilot in the Mog ship. We guarantee this ride will earn a place in your Top 5 rides because oh boy, are the graphics state-of-the-art realistic! Drop by the Popcorn and Churritos food cart outside and if you’re a true fan of Final Fantasy, you need to order the super adorable Sabotender Churritos - a cinnamon flavoured churro with kiwi sauce doused with green and white sprinkles. Though it was a tad too sweet, it was absolutely insta-worthy! If you’re eyeing that super adorable Chocobo Popcorn Bucket, we suggest you enter the park real early and rush to be the first in line because when we visited at 10.45am, it was all sold out! Finally, what everyone has been waiting for! Every girl’s dream at one point of their lives is to be a superhero and save the world. For some of us, Sailor Moon continues to hold a small part of our hearts and childhood where we all saw ourselves as the solder destined to save Planet Earth from the forces of evil! 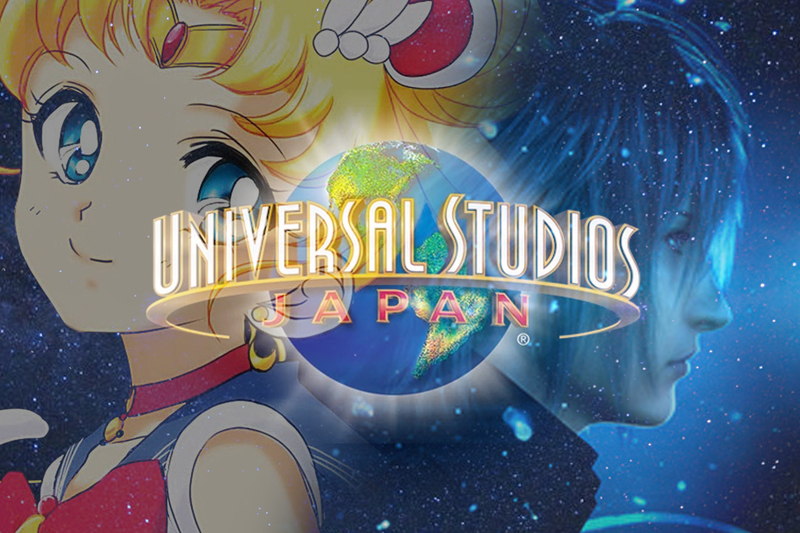 Universal Studios Japan is the world’s first to house a Sailor Moon attraction! How exciting is that? *The Sailor Moon The Miracle 4D Ride *will only be open on 16 March 2018 but what we’ve heard from the grapevine already causes shivers to run down our spine! The 20 minute ride will bring you through an exclusive USJ Sailor Moon storyline as you join the soldiers battling evil and bringing justice to light! If you’re visiting USJ way before 16 March 2018 and dying of disappointment that you won’t be able to live our Sailor Moon dream, we have good news for you! 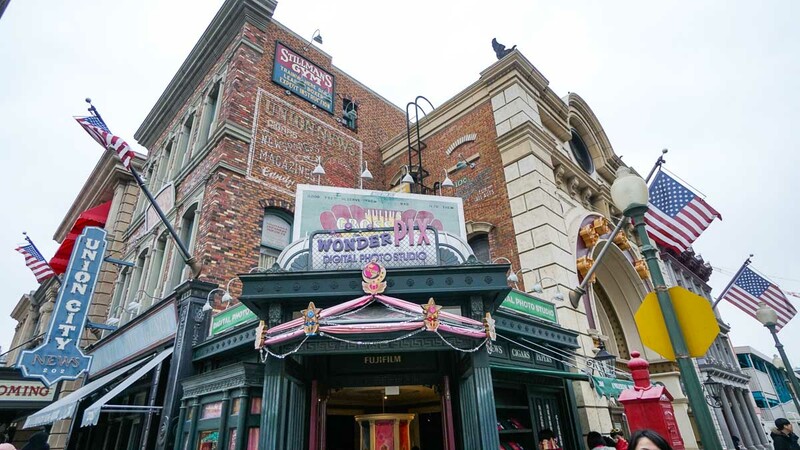 There is a magical photoshoot at the Wonder Pix Digital Photo Studio where you can select your favourite Star Power sticks and strike a pose as the cameras click! If you’re unsure how to look best like Sailor Moon, staff will be by the side to guide you to your best Sailor Moon pose! You may purchase your photos in an exclusive Sailor Moon photo frame for ¥1,800 along with a special QR Code where you can download your photos plus exclusive access to Sailor Moon wallpapers for the crazed fans! Sailor Moon doesn’t stop there, head over to Beverly Hills Boulangerie in Hollywood and enjoy some Sailor Moon themed food! Have yourself a slice of the Sailor Moon Prism Power Cake, a delightful tropical blend of Pineapple, Berry and Pistachio. Alternatively, look for the Sailor Moon Compact Cake - a fluffy raré strawberry cheesecake that everyone will love! Order a glass of the Sailor Moon Drink (a strawberry and lemon soda) with popping bits and feel like the princess herself! Looking for something savoury? Sailor Moon has got your covered too! Opt for the Sailor Moon Cafe Plate that comes with a croissant (shaped like Sailor Moon’s trademark crescent), a tasty salad with fruity dressing, and a bowl of cream soup accompanied with bread in the form of Luna! How do I get tickets to Universal Cool Japan 2018? As The Universal Cool Japan Event only happens once every year, the locals are equally hyped about this event! It’s therefore normal to witness these special rides hold a queue with a waiting time of more than 100 minutes! We’re not kidding. Are you ready to experience the best at USJ? Have the best experience at USJ when you visit between 19 January 2018 to 24 June 2018 and score the best deals when you purchase your tickets on Klook. Check out our Insider Tips and Tricks to learn the best ways and have maximum fun at Universal Studios Japan! Welcome to the incredible world of Universal Studios Japan in Osaka! Get guaranteed timed entry to famous The Wizarding World of Harry Potter and Skip the line for six popular park attractions (once for each attraction)!